The University mascot here is a bearcat, and I’ve been meaning to find out what a bearcat actually is since I got here. 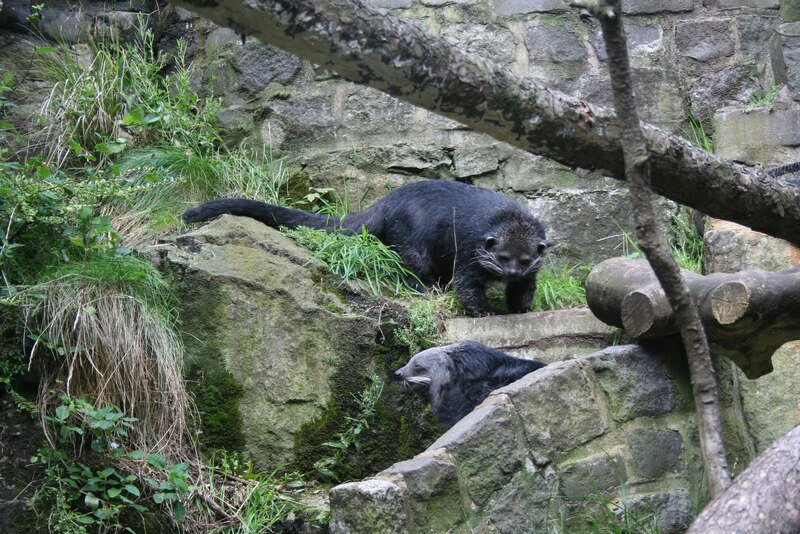 Well, it turns out that a bearcat is actually a Binturong. Coincidentally, me and John saw these for the first time when we went to Edinburgh zoo before I came over to the States.